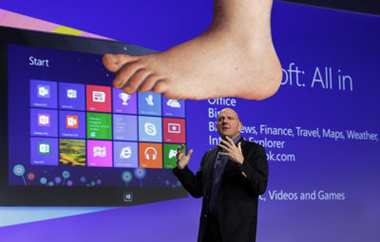 Add Fujitsu to the list of Microsoft partners bemoaning soft interest in Windows 8. Speaking to reporters in Tokyo on Friday, Fujitsu President Masami Yamamoto said initial consumer demand for Windows 8 has been “weak,” and that the uninspired consumer response to it is partially responsible for the company missing its PC shipment target. Fujitsu had previously expected PC shipments for the year ending March 31 to top out at seven million units. Now it expects somewhere around six million. “Enthusiastic” hardly seems an appropriate adjective for any of the responses detailed above. Microsoft did not respond to a request for comment about Yamamoto’s remarks or Windows 8 sales.